This is a wonderful leave-on mask, as in leave-on and forget about it. Once you apply it before bedtime, you don’t rinse it off until the next morning—you go to sleep with it on. Coconuts have excellent hydrating and moisturizing effects that both firm and soothe the skin for a more radiant complexion. This gel mask cultivates smooth skin. 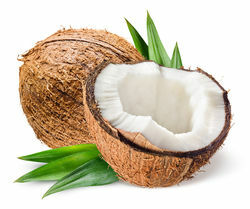 Coconuts contain antiseptic properties that are very effective in treating sunburn. Vitamin E in coconuts plays an anti-aging role by boosting the ability of skin cells to repair over time, lessening the appearance of wrinkles. It is also anti-inflammatory. The Coconut Freshmade Mask is a firming leave-on treatment mask for smooth and resilient skin. It is absorbed fully for maximum moisturization without the sticky residue found in many masks. It’s for those of us who want intense hydration and improved elasticity and firmness, without having to rinse off the mask. I slept with this mask on overnight and it did not leave a mess on my pillow. In the morning, I woke up to soft-as-silk skin, and washed my face as usual before applying my make up. 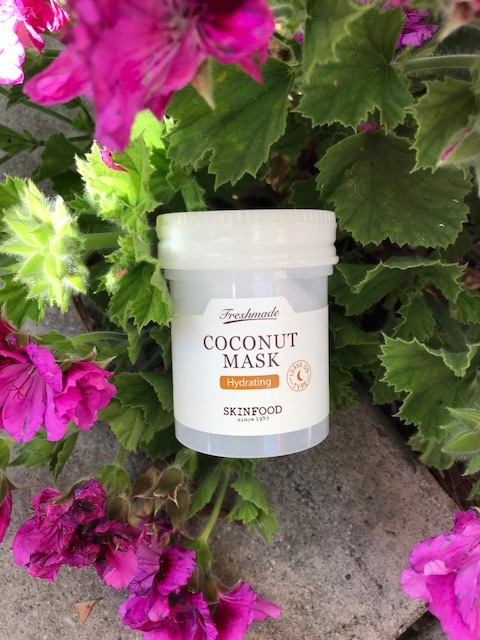 If you’re looking for a refreshing change in face masks, give the SKINFOOD FRESHMADE COCONUT MASK a try. It’s both effective and affordable.